Hand sewing I do quite like though. I once made a hand sewn patchwork quilt but I am not going to divulge how long it took me! Anyway, My youngest girl, K, is very good at sewing and has a fantastic teacher with the equally fantastic name of Cherry Windmill. 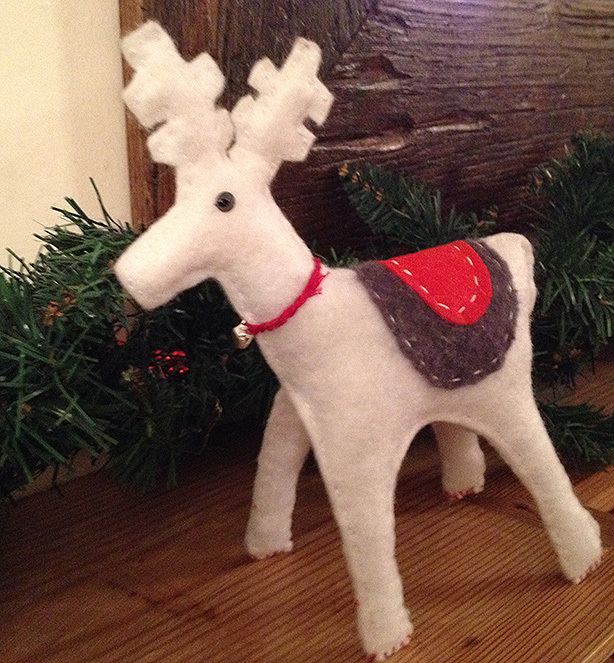 Cherry gave her the pattern for an irresistible felt reindeer so, with the Christmas ‘to do’ list getting longer by the minute, I decided to completely ignore all the festive chores in waiting and spent a blissful afternoon with K making this!